Hyundai's tiny car is a big thing! 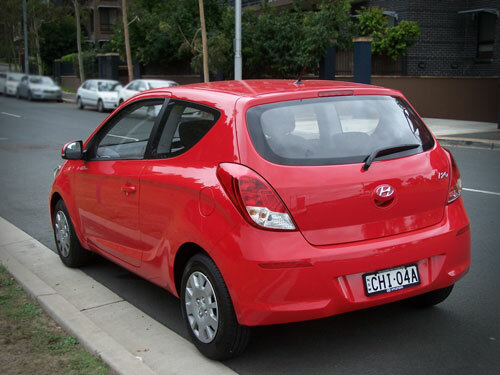 The Hyundai i20 is the smallest vehicle in the fleet of fine cars with the Hyundai badge. The 3-door i20 Active is the cheapest in the South Korean company's expansive range following the discontinuation of the Getz. Our drive package for this review is the Hyundai i20 Active 3-door hatch with a 1.4 litre petrol-fuelled engine matched to a 6-speed manual transmission. 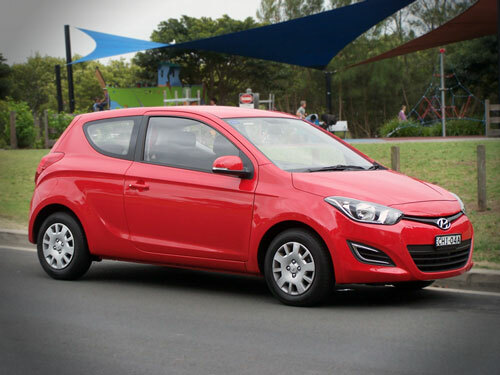 The base price* for the Hyundai i20 Active 3-door hatch is $15,590. Automatic transmission is a $2,000 option. The i20 range of just 3 variants replaces the Getz models. There are the 3 and 5 door Active hatch or a 5 door Elite hatch all available with the 1.4 litre Gamma petrol engine matched to either a 6-speed manual gearbox or a 4-speed automatic transmission. The i20 was 'refreshed' in June 2012. The obvious differences are the front mudguards, bonnet and grille, together with a few other neat enhancements. This little package is fun and easy to drive with a comfortable lay out. 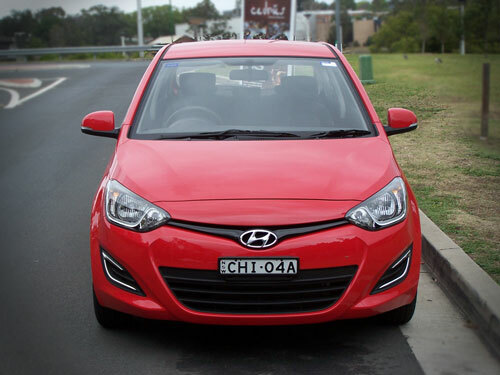 Our 560 kilometres in the i20 covered inter-urban and suburb driving. This is an ideal 'shopping trolley' due mostly to its small stature. 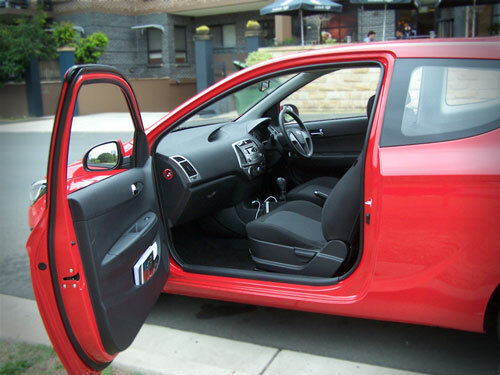 With wide opening doors accessibility to the rear seat in the i20 is easy, even for the larger traveller. 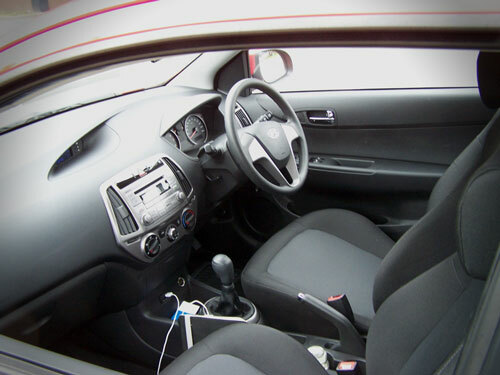 Features standard throughout the range are things like air conditioning, power windows (front doors only on 3-door), electric folding external rear view mirrors (5-door models), reversing sensors, keyless entry with immobiliser, AM/FM radio with CD player and inputs for MP3 and iPhone/iPod/iPad. Bluetooth phone connection also available. The steering column is height and reach adjustable. Powered by a front-mounted 1.4-litre, 4-cylinder petrol engine producing 73.5 kW at 5,500 rpm and maximum torque of 135 Nm available 4,200 rpm, the i20 'drives' via the front wheels and a 6-speed manual gearbox. A 4-speed auto transmission is, as previously mentioned, available as an option. All models have a 5 Star ANCAP safety rating. Disc brakes are fitted to all the road wheels and have ABS, EBD, BAS, ESC, TCS and Vehicle Stability Management (VSM). Owners of the i20 will not have to worry about whiplash injuries from rapid acceleration although this model is no slouch. The manufacturers did not design the i20 as a race car. The package is certainly able to stay with the traffic flow on the freeways/highways and around town. But it may be an uphill battle on long and steepish highway hills as we found it neccessary to get out of overdrive on such occasions. On the combined cycle, fuel consumption of the i20 is rated at 5.3 litres per 100 kms for the manual version. City cycle consumption is rated at 7.1 l/100 km. Highway cycle comes in at 4.2 l/100 km. Unleaded 91RON petrol is suitable for the Hyundai i20. CO2 emissions from the Euro5 compliant engine are 126 grammes/kilometre. Only 2 trim levels are available in the i20 hatch range, the base model known as the Active with 3 or 5 doors and the top spec model the Elite is only available as a 5 door hatch. All have auto transmission and metallic paint on the option list. 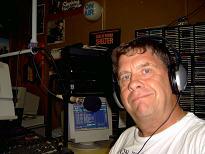 The warranty package operates, with conditions, on a 5 year/unlimited kilometre basis. A roadside assist package is available for up to 7 years if specified servicing is completed with a Hyundai dealer (conditions apply). It's a great car. 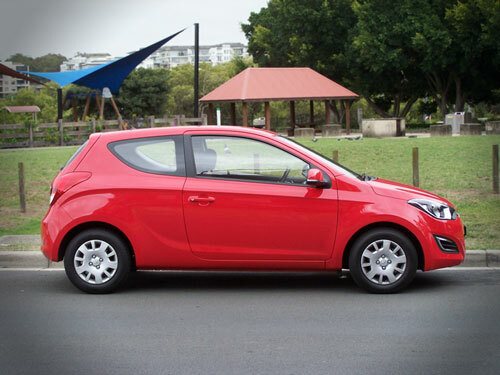 The little Hyundai i20 is well built and is presented as an improvement on the Getz which it has now replaced. The ride and comfort levels are excellent for a car in this market segment.